For deliveries across vast distances and on tight deadlines, trust SameDayAirFreight.com to transport all of your goods swiftly and on schedule. Prepare yourself for commerce across the continent with same day air freight services from SameDayAirFreight.com. We offer rapid shipping by plane, covering vast swaths of both the United States and Canada. Our team not only makes sure that your goods are safely stored and scheduled to arrive on time, but also tracks them throughout the entire journey and provides you with updates as needed. With us on your side, no distance is too great for a delivery. If there’s one defining feature of the modern marketplace, it is the vast and growing scale on which business is performed. No longer do companies serve only their city using local supplies. Instead, even the smallest enterprises need to bring in resources and send out finished products over hundreds or even thousands of miles. A business in Toronto may have customers in Miami and suppliers in Honolulu. For that business to succeed, it must be able to link all three cities seamlessly. Tight Deadlines - Delivering goods on a strict deadline requires vehicles that are perfectly suited to the length of the journey. 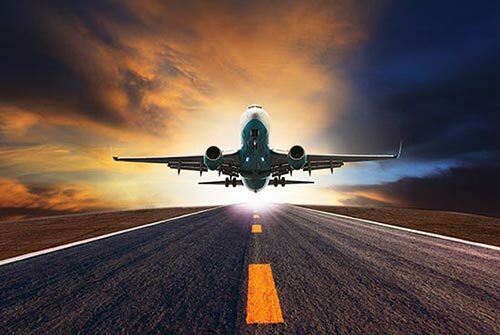 There is no way to reliably get goods across North America by the next day, overnight, or on the same day unless you are able to charter or schedule a cargo flight. Enormous Distances - Even given sufficient time, transporting goods across the continent by truck is often untenable. Rather than have your critical freight be on the road for days, susceptible to all kinds of damages and delays, you can finish the delivery in a matter of hours with same day delivery services by air. Impassable Obstacles - Not only are truck shipments over vast distances difficult, but certain locations are literally impossible to reach by truck. If your business is on mainland North America but you need to trade with Hawaii, you must be able to coordinate air shipments. SameDayAirFreight.com is prepared to meet all of these needs and more. We maintain close relationships with local airlines, and know exactly when the next scheduled flight will be available to the destination of your choice. If scheduled services won’t do, we can charter a same day air delivery for you. This ensures that your goods always get to their destination with time to spare, no matter how far away that is. SameDayAirFreight.com doesn’t limit itself to finding flights for your goods and then sending them off. Even while your cargo is in the air, we will have a detailed understanding of its position and trajectory thanks to our advanced tracking technology. By investing in the latest monitoring devices, we can make sure that your goods are safe, secure, and on track to arrive by the deadline. If a problem arises, we can quickly respond to it and minimize any extra time on the delivery. 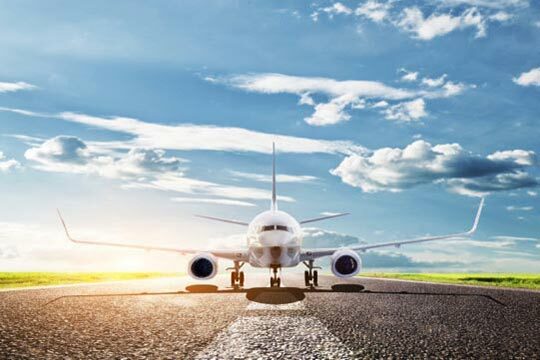 When your connecting flight is canceled, for example, we can find or charter another plane for the cargo, ensuring that it arrives as close to the deadline as possible. In addition to helping us minimize delays and maximize speed, our advanced tracking devices prepare us to answer all your questions and update you as needed. When you call our customer service team, they can pull up our data on your order and tell you exactly where it is at this moment. They can then project when it is likely to arrive. By giving you this information, we empower you to make accurate plans for unloading and using your goods. SameDayAirFreight.com is committed to ensuring that all of your deliveries go swiftly, safely and smoothly. For more information or to reserve a flight, call (800) 713-1000 or visit our website today.